How is it already the end of September? Slow down 2013, you move too fast! 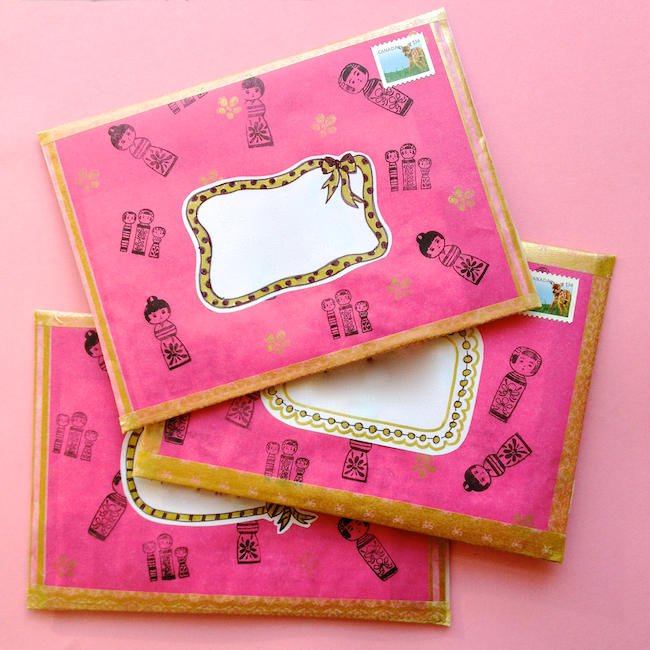 Since this month was so sneaky, I decided to send out this month's 5 pieces of pretty mail in one go. 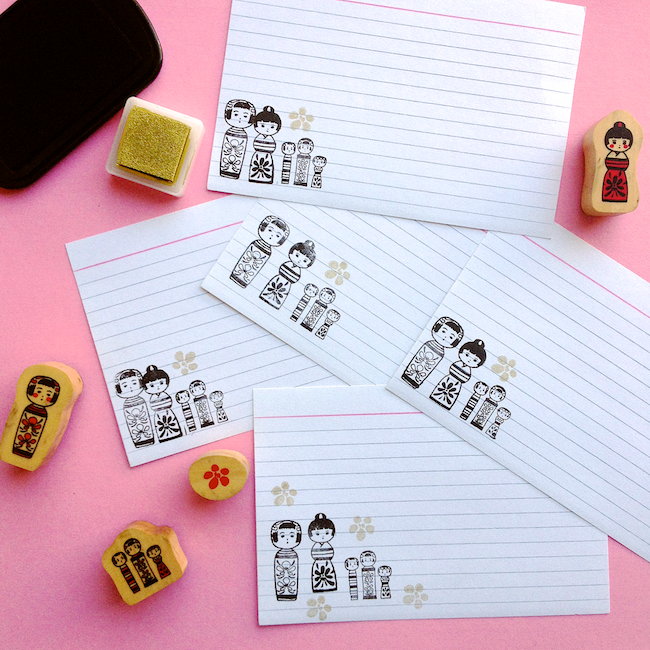 I've had these adorable kokeshi stamps staring at me for months now, clearly needing an outing! Sorry, no source for these - but we do hope to be carrying some cute rubber stamps for the holidays. 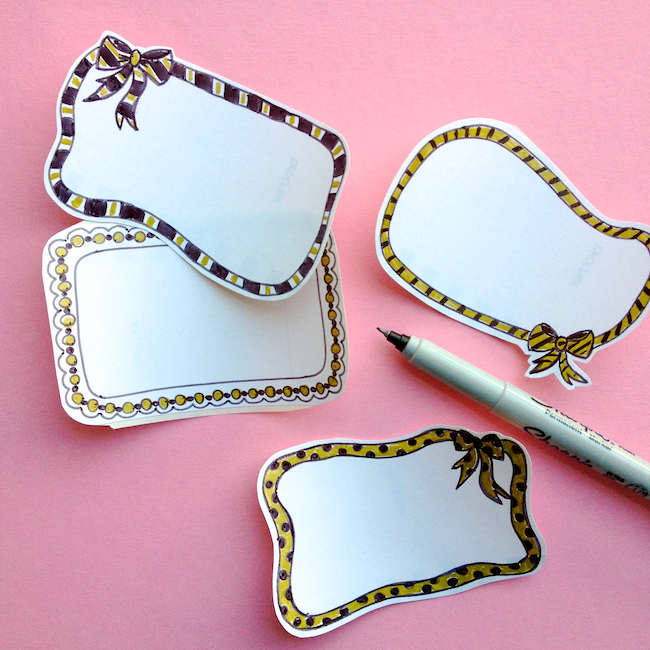 Cute stamps are perfect for dressing up simple index cards or other blank cards. 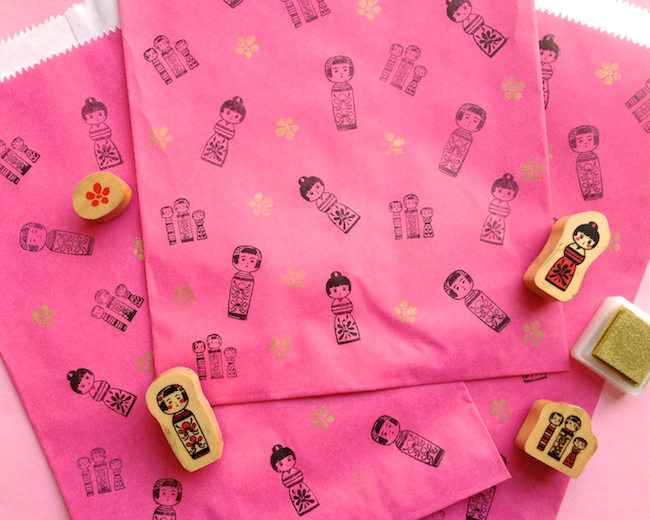 How lovely is this kokeshi family? I must admit, I have a serious soft spot for these traditional Japanese wooden dolls. With a few folds (and some extra trust in the postal service), basic paper bags can double as envelopes. But first, a little more stamping. Rather than just writing the address onto your envelope, grab your favourite marker and doodle some fancy labels onto label paper. Cut out and stick. Fancy! 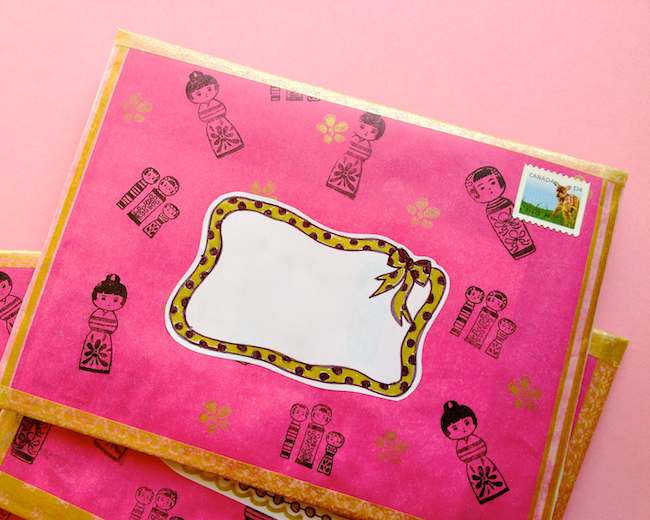 Inspired by the pretty mail I received from Andrea, I wanted to include a little DIY kit in this month's mail. Since my Japanese paper doll tutorial continues to be so popular, they seemed like the perfect fit! 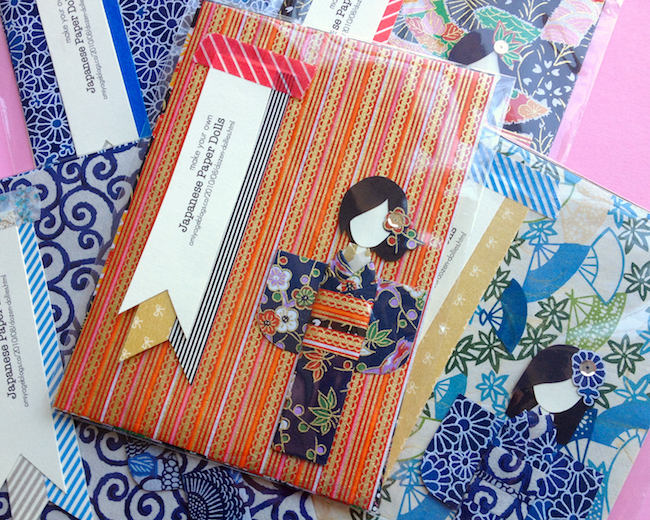 A paper DIY kit is light and flat for mailing and such a delight to receive. Sorry, we don't carry the chiyogami anymore... but may again. I'll be sure to let you know. A few strips of washi tape add a little golden glamour while holding the paper bag in envelope form. All finished and ready for mailing.What's the best surprise you've found in your mailbox?